Here’s something to get you excited for the weekend! 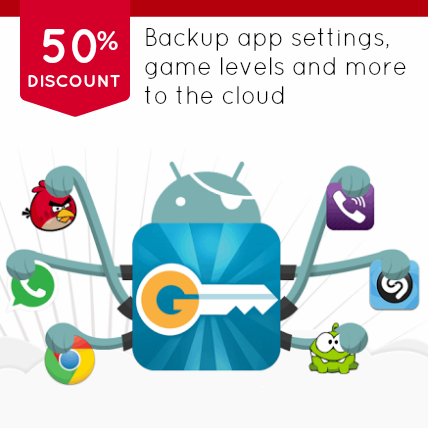 We’ve decided to make your weekend even more awesome and release G Cloud Rooted with 50% discount! No need to worry about your Apps, App settings, game level and with the customization of your own choice. Better yet, no need to worry about losing your device at all! This offer is for a limited time only so hurry up and save your device before it falls into a pool during one of the summer parties. Yes, we’re just awesome like that, and even if your device is not rooted you can purchase the app so as to get the 4GB of extra storage for a lifetime.